In 1967, Roland Barthes introduced a new classical author to the canon: Coco Chanel. “Chanel does not write with paper and ink (except in her leisure time),” he wrote, “but with material, with forms and with colours.” Little did he know that the designer was also a prolific reader, and now, in the ornate cloisters of Venice’s Ca’ Pesaro, the exhibition Culture Chanel: La Donna Che Legge or The Woman Who Reads brings together the rich array of literature devoured by Chanel over the course of her life. As well as displaying the incredible library which usually lines the walls of her famous 31 Rue Cambon apartment, curator Jean-Louis Froment brings together the notes, artefacts and treasures of the iconic designer. Out of the 350-strong objects, a compelling portrait is formed; here we select a few of Chanel’s favourite things. 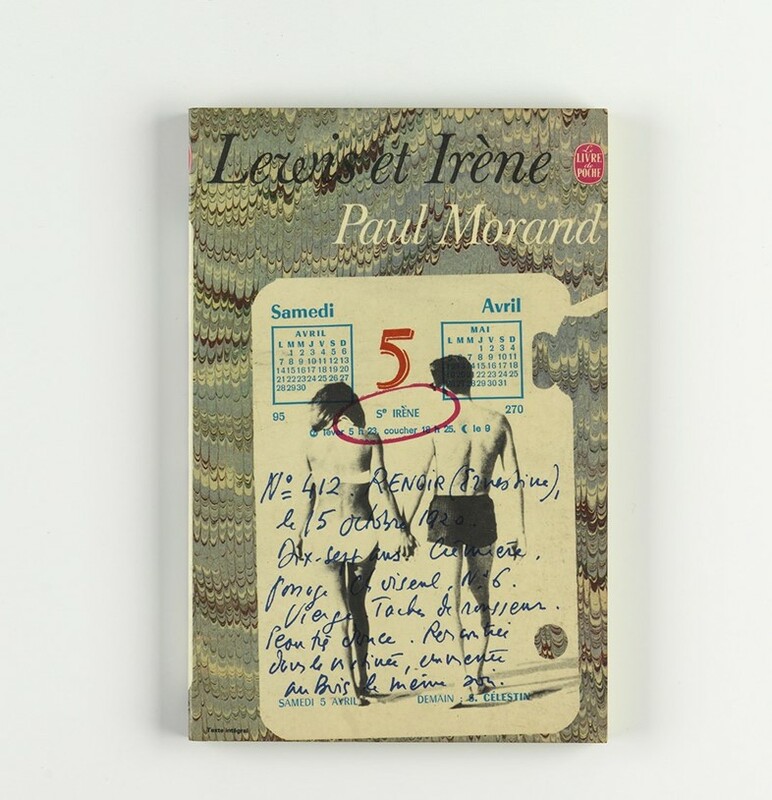 The copy of Paul Morand’s 1924 novel Lewis and Irène which was kept within Chanel’s library has a dedication scrawled in its pages: “This Lewis – who is a bit like Boy Capel”. It is a nod to Chanel’s married lover Arthur ‘Boy’ Capel, who Morand admired, and, along with Chanel, became the inspiration for Morand’s novel of passionate, tormented love. It was Capel who fortified Chanel’s love of literature and encouraged her to become such an avid reader and, after he died suddenly in a tragic car accident in December 1919, leaving Chanel heartbroken, she found comfort through the books he’d given her; reading became means of extending his love. 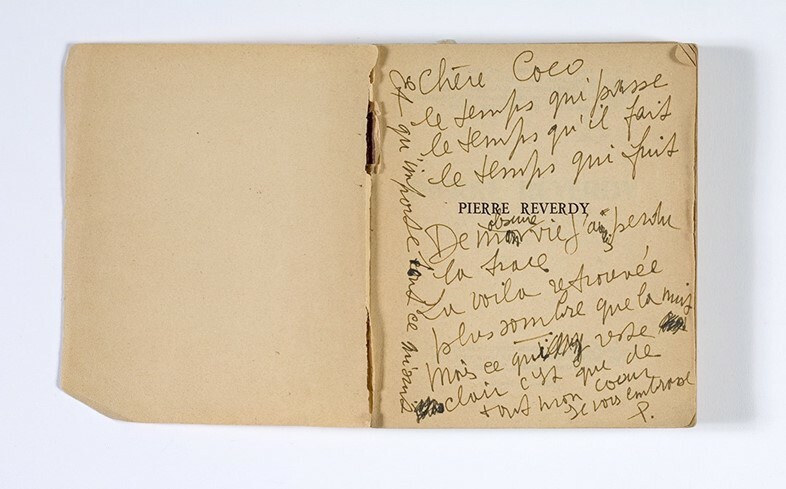 On the initial endpaper Chanel has marked this book in pencil, with a small handwritten 'C'. 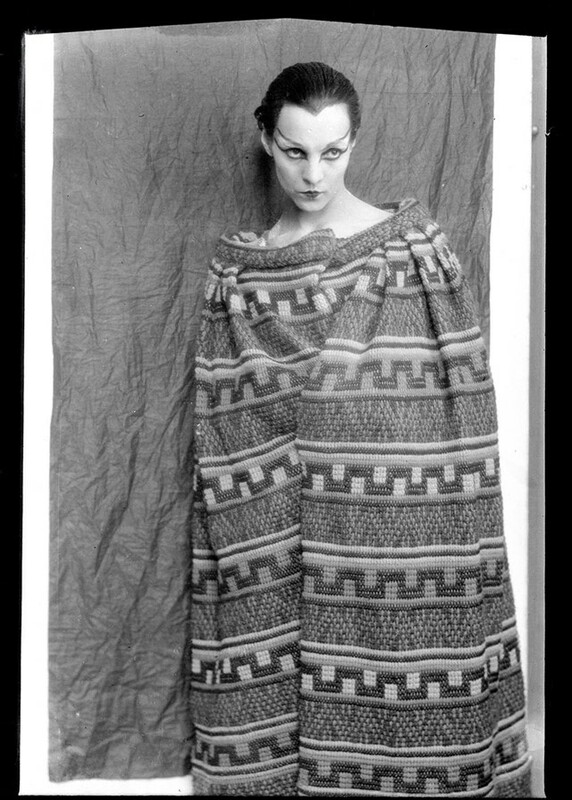 Chanel was deeply intertwined with the creative explosion of Dada in Paris, counting the avant-garde artists and Dada icons Francis Picabia and Tristan Tzara among her closest friends. Thus, when she launched her first fragrance in 1921, the movement was a profound influence on her. The first copy of the Chanel No. 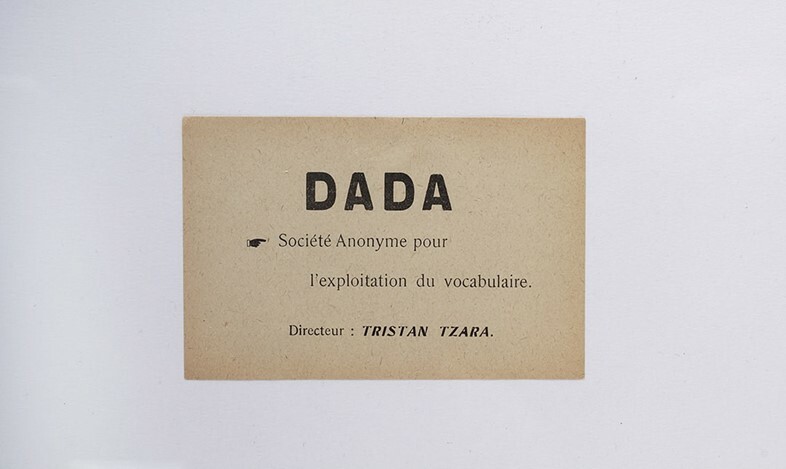 5 label sits next to a collection of treasured ‘papillons Dada’, or Dada butterflies, which took the form of small paper texts and were often signed by Tzara. These ‘butterflies’ were so named because they were printed on small format (6.8cm x 10.8cm) white or coloured paper. Borrowing their characteristic minimal aesthetic and bold text-based design split over several lines, the graphic packaging for Chanel’s first scent instantly stood out with pharmaceutical precision from its contemporary competitors. A classic was born. Just as Homer, Virgil and Sophocles, the writers of the greatest tragic stories, sat alongside the poets of the 20th century on Chanel’s bookshelves, so too did they sit side by side with her in her everyday life. 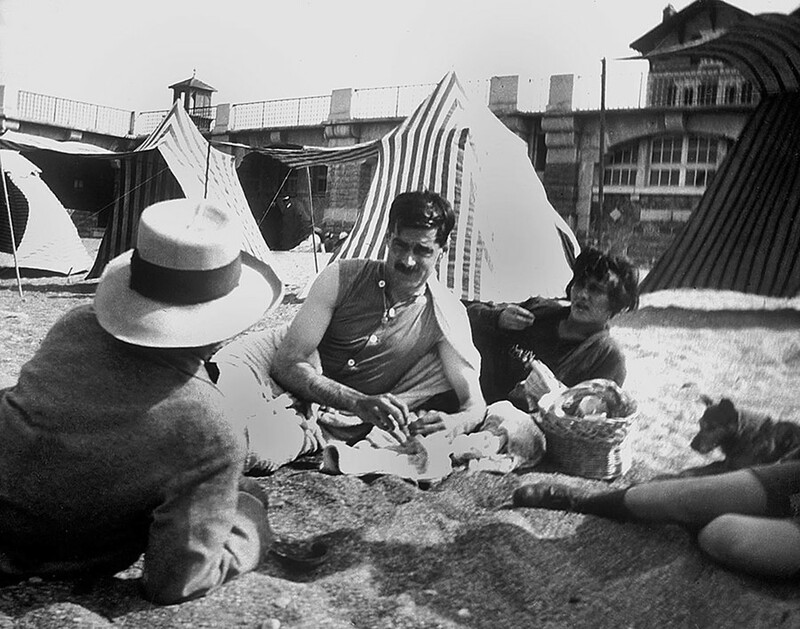 When her friend the poet Jean Cocteau wrote and directed Antigone (1922) and Oedipus Rex (1937) Chanel designed costumes for the casts, including stars such as Jean Marais. She was famed for her taste for clean lines and silhouettes, and as such Chanel’s style has often been linked to the sculptural persuasions of classical antiquity; the experience of interpreting classical texts for the modern stage was a powerful means of facilitating her engagement with them. Chanel continually drew inspiration from the mosaic pavement of crescent moons, stars, and templar symbols which surrounded the Aubazine orphanage in which she spent some of her childhood. 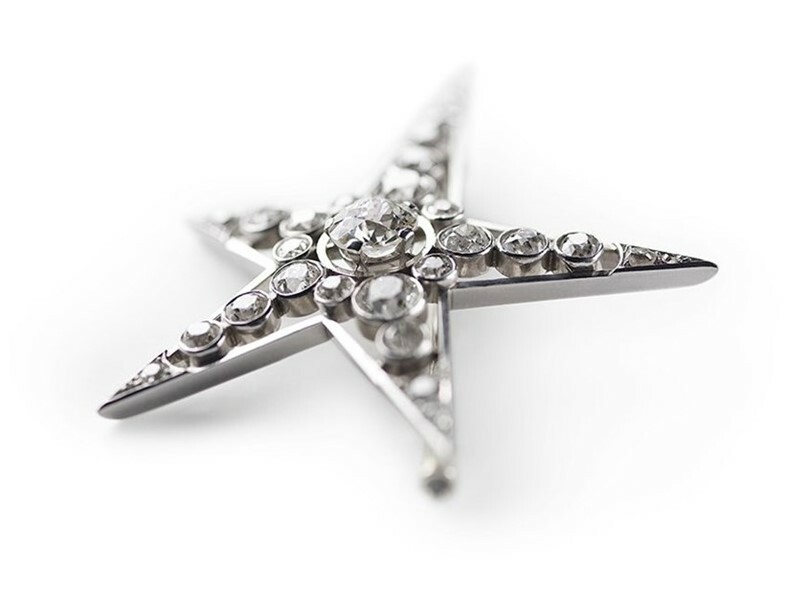 Her iconic 1932 jewellery collection, Bjoux de Diamonds, was filled with celestial motifs – most crucially the image of the five-pointed star – and these would embed themselves in her aesthetic consciousness. “I wanted to cover women with constellations. Stars! Stars of all sizes,” she told the press after the collection’s release. Pieces like the Comète, or Comet, brooch were lavishly adorned with diamonds, jewels that Chanel dubbed, “true tiny palace[s] of mirages”. This piece contained within it multitudes of symbolic importance for Chanel, a token of her childhood, but also a potent sign for the potential of her future. Culture Chanel: La Donna Che Legge runs until January 8, 2017 at Ca’ Pesaro, Venice.